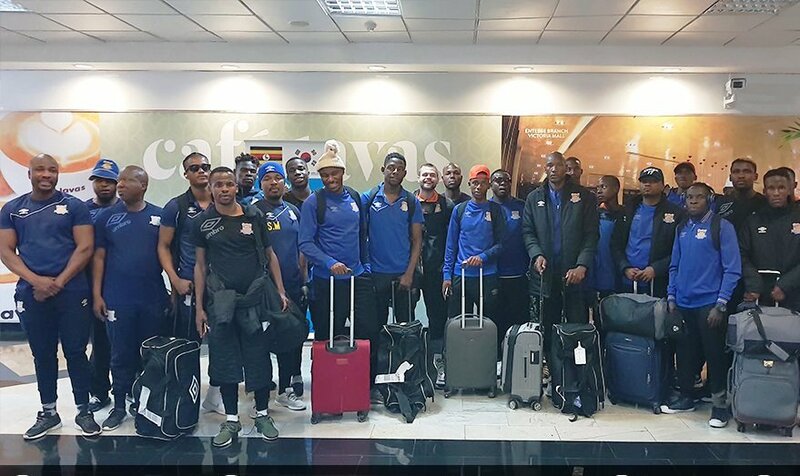 Botswana side, Township Rollers who will face off with KCCA FC in the CAF Champions League on Saturday are already in the country. The team arrived yesterday evening and will conduct their last training session at 04:00pm in Namboole on Friday. They however arrived without head coach Nikola Kavazovic who had to travel back to Europe to tend to a pressing family issue as confirmed by the club. “Our head coach Nikola Kavazovic has to attend a family matter and hence shall traveled back home to Serbia. He is scheduled to return back to Gaborone on the 27th August before the CAF Champions League game against Esperance Sportve De Tunis, a club statement read. In Kavazovic’s absence, goalkeeper coach Thabo Motang as well as the assistant coaches Leutlwetse Tshireletso, shall be at the helm of the team. The reigning Botswana Premier League champions have a former KCCA FC player in their ranks-Ivan Ntege who is delighted to be back home. “Uganda is my home and it feels a bit strange that am here to play for another team that is not Ugandan, said Ntege in a phone interview. “I love KCCA but i am a professional and i will give my all for my club side. KCCA and Township Rollers both have three points with the former rooted at the foot of the table by virtual of head to head. The Kasasiro Boys lost 1-0 to Township Rollers in the first encounter played in Gaborone. Tunisian side Esperance lead the group on 10 points and have already qualified to the quarter final stage, whilst Egypt’s Al Ahly have 7 points from four matches. The other group A games sees Esperance hosts Al Ahly at Stade Olympique De Rades in Tunis city on Friday night.